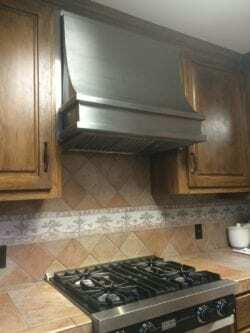 For many homeowners today, sheet metal creations are essential design elements, modern kitchens employ powder coated metal hoods and racks to add aesthetic appeal to their work and display surfaces. 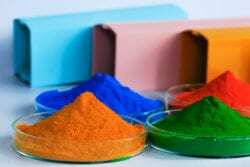 Are you looking for a powder coating company in Temple TX? Do you need powder-coating service in the Temple area? TinKnockers Sheet Metal Company LLC is the most reliable source for custom sheet metal fabrication and other related projects in the area. People who are in need of custom ductwork or gutters, as well as stainless steel restaurant supplies, can find reliable and high-quality products by contacting the professional fabricators at TinKnockers Sheet Metal Company, LLC. Our countertops, racks, sneeze guards, ventilation systems and other custom products are the largest firm in the area to provide these products. 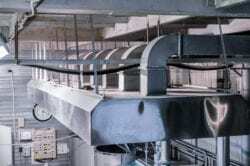 The fabricators with stainless steel, galvanized steel, copper and aluminum. They also offer powder coating to provide custom finishes and color matching with over 5000 colors available. A recent addition to the product line is custom vent-a-hood designs, providing fabrication manufacturing and installation for customers wanting commercial applications, as well as those in the process of remodeling an existing kitchen. 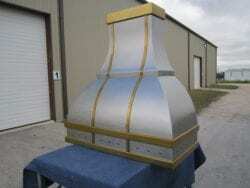 We work with sheet metal of many types in order to meet the style and color preferences of our customers. Our family owned and operated business is proud to be known for diversity and creativity. Do you need stainless steel countertops, bar fronts, or architectural metal pieces? We can design and install these, as well as decorative sheet metal and customized sneeze guards for a wide variety of commercial applications. Our coating operation provides an excellent alternative to painting your steel products and surfaces. The process is perfect for obtaining a finish that is customized in color. Our facility is proud to offer the largest oven of its kind in the Temple area. It measures 8x8x15 feet in length. By baking the powder onto the metal surface, the product is sealed, rendering it waterproof. The process provides durable protection against the damaging forces of Mother Nature. The process of powder coating provides an aesthetically appealing color and finish. The spectrum of available colors is sizable. We can order at least five thousand different colors, including clear coating, veins or other options, we can make your project successful. We are the largest metal fabrication shop in Temple TX and want your business. If you are looking for ideas or prices, call 254-774-9099 today for a free estimate! We will be happy to work with you to make your ideas become reality.